Freeform has finally announced the cancellation of the show. 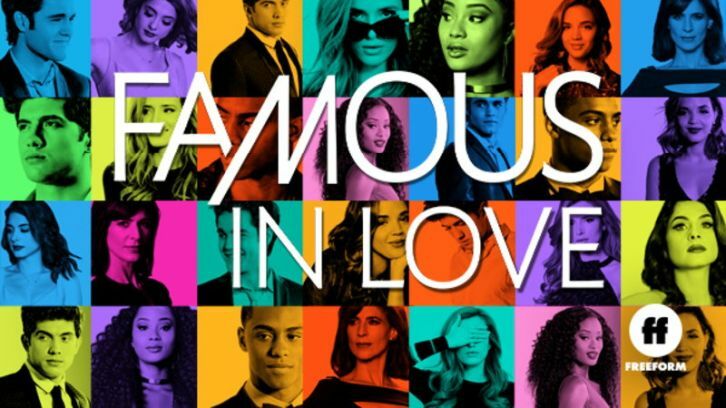 We are proud to have had the opportunity to air Famous in Love. After many discussions with our parters at Warner Horizon, we have made the difficult decision not to renew the show for a third season. We want to thank our colleagues at Warner Horizon and our incredible producers, writers, cast and crew, especially Marlene King, for their creativity, hard work, and dedication. Update: 27th June 2018 Freeform are claiming that no decision has been made and are denying the report from The Hollywood Reporter. Freeform has cancelled the Bella Thorne drama after 2 seasons, as confirmed by The Hollywood Reporter. Further to our sources' information that the series will not be returning for a third season, The Hollywood Reporter report that the network asked for more money from Hulu, the SVOD partner, in order to continue the series. This was declined and Freeform opted instead to end the series. Sources tell The Hollywood Reporter that Freeform initially wanted to do a third season of the expensive series from producers Warner Horizon Scripted Television but asked streaming partner Hulu — which has SVOD rights to the drama — for a larger contribution. Sources say Hulu has yet to receive a formal proposal from Freeform to save Famous in Love, which saw its same-day viewership sink.